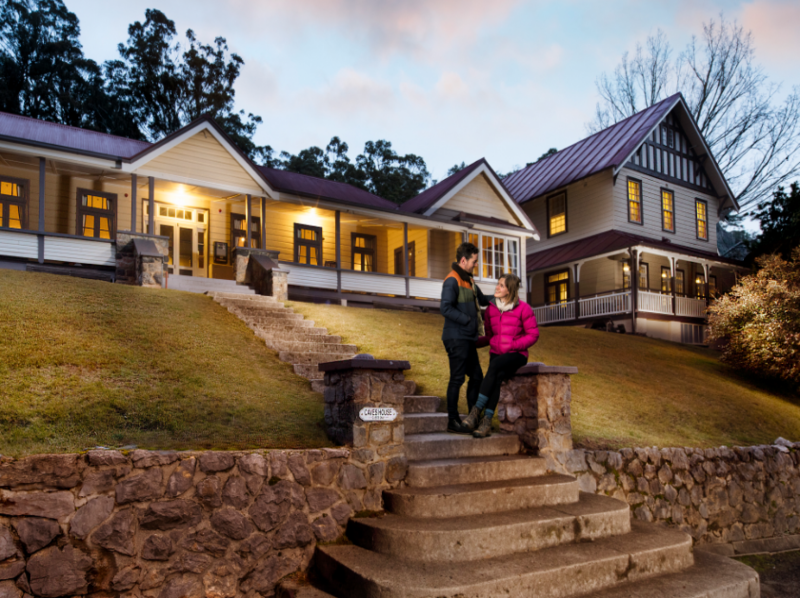 Experience the tranquillity of the picturesque Yarrangobilly Valley in comfort. Choose from your own lovingly restored self-contained wing or deluxe private room, in this grand heritage building. Perfect for romantic getaways, wedding celebrations, family gatherings and special interest groups. Caves House is ideal for enjoying the splendour of all four seasons. Bushwalking, self-guided and guided tours, and fishing are offered onsite, with Selwyn Snowfields only a short drive away. After a day of adventuring, slip into the naturally heated thermal pool. Round it off with a drink on the verandah, gazing across at the limestone bluffs.